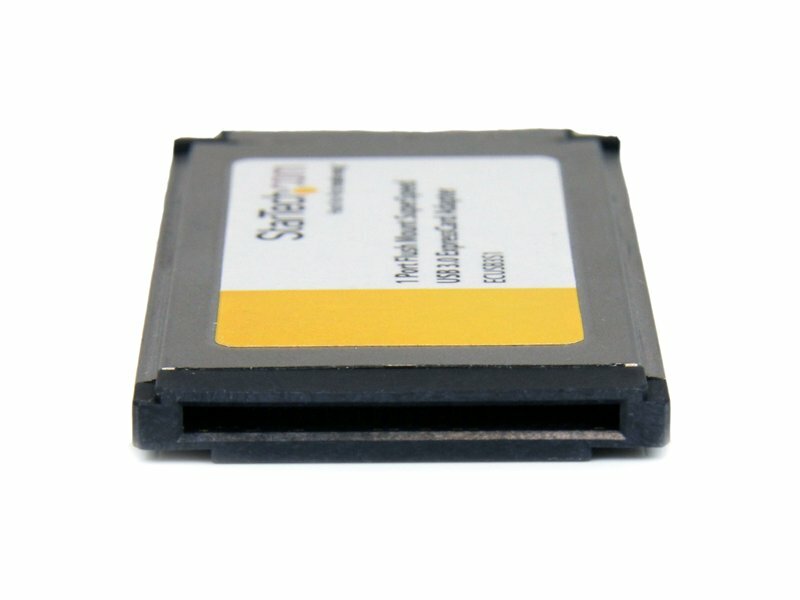 The ECUSB3S11 Flush Mount 1-Port USB 3.0 ExpressCard adapter uses a unique form factor design that allows it to sit fully in a standard 34mm laptop ExpressCard slot without sticking out. 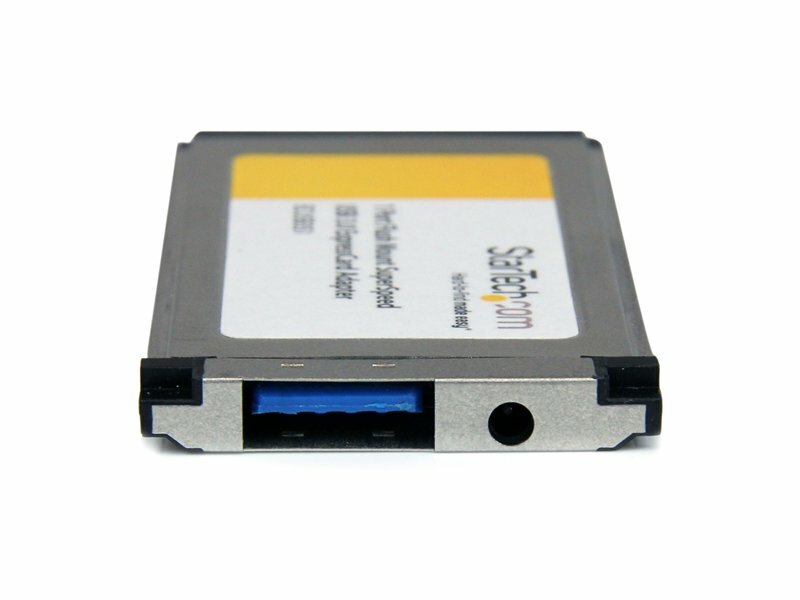 The port sits virtually flush with the sides of the laptop, becoming an add-on that can be left installed, even while on the move, without fear that it will get snagged or hit against which could cause damage to the card or slot. 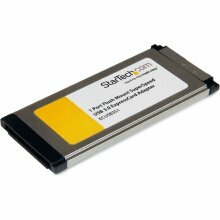 The USB 3.0 ExpressCard adapter supports data transfer rates up to 5Gbps, and is still backward compatible with USB 2.0 at up to 480Mbps, or USB 1.1/1.0 at up to 12/1.5 Mbps respectively. 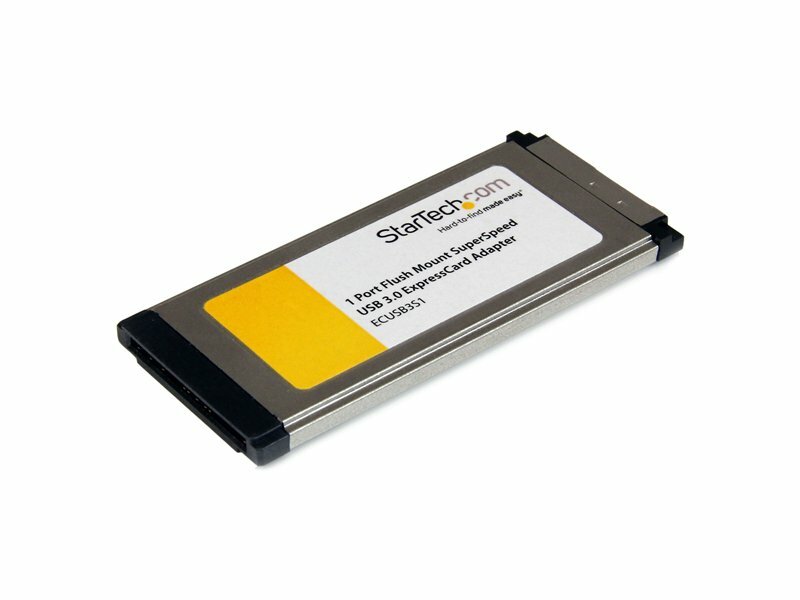 The StarTech.com Advantage - Eliminate the worry of snagging or hitting the ExpressCard with a unique Flush Mount design. - Increase productivity with SuperSpeed USB 3.0 connectivity, while remaining backward compatible with USB 2.0/1.x devices. - Power many USB devices without the need for an external power adapter.